A Remote Climbing Assessment that can be performed with minimal equipment. Our highly trained climbing coaches then analyse your results using our specially developed statistical models so that you can pinpoint the areas of strength and weakness in your climbing. 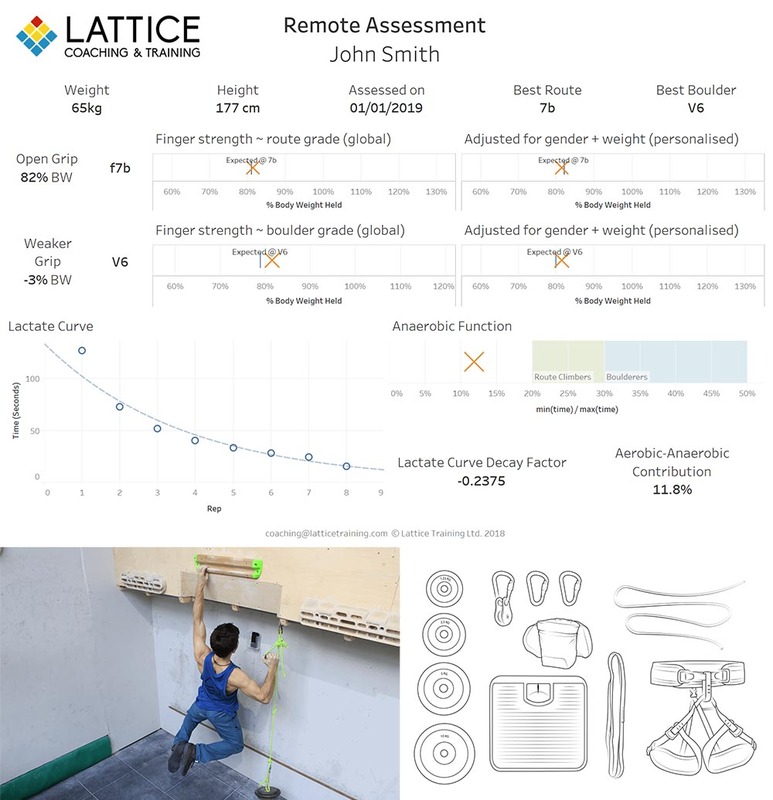 This climbing assessment is specially designed to require the simplest climbing equipment possible so it can be performed almost anywhere, from your local gym to your own garage. It’s completed at your own pace so that it fits with your schedule. All you need is a 20mm edge (we recommend our Lattice Training Rung for best results), a pull up bar, some weights and a basic pulley setup. 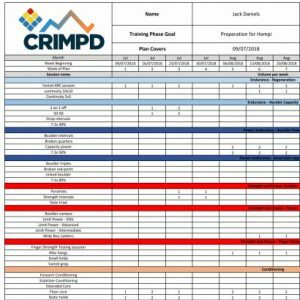 A Remote Climbing Assessment is a perfect base to start a customised training plan. If you are under 18, post-injury or below the stated grade requirements in some circumstances we can still offer you a remote assessment so please contact us on coaching@latticetraining.com to discuss your options. Please note that your remote assessment must be completed within 6 months from purchase. Have you climbed at least V4 or 6b+/5.11 in the last 6 months?